As part of the New Museum's Triennial "The Ungovernables," I was hired to do a series of five films, following performance art collective Public Movement. Public Movement's salon series are performative public debates, specifically staged as congressional sessions, summit meetings, diplomatic consultations, secret gatherings, and demonstrations taking place at sites across Manhattan. The salons will a) celebrate the choreographies of ideological youth journeys to Israel (Taglit-Birthright); b) deconstruct their relationship to the American Jewish lobby as one of the most successful programs for the Diaspora community; and c) consider the appropriation of these strategies towards the potential creation of a Birthright Palestine. Salons will perform strategic research for the final Public Movement action for New York City, scheduled to take place in 2012 as part of the New Museum Triennial. Public Movement is a performative research group which investigates and stages political actions in public spaces. In the last five years, Public Movement has explored the regulations, forces, agents, and policies, as well as formations of identity and systems of ritual that govern the dynamics of public life and public space. Public Movement has organized events, rituals, and political situations through consultation and collaboration with scholars, experts, and ongoing group debates and discussions. 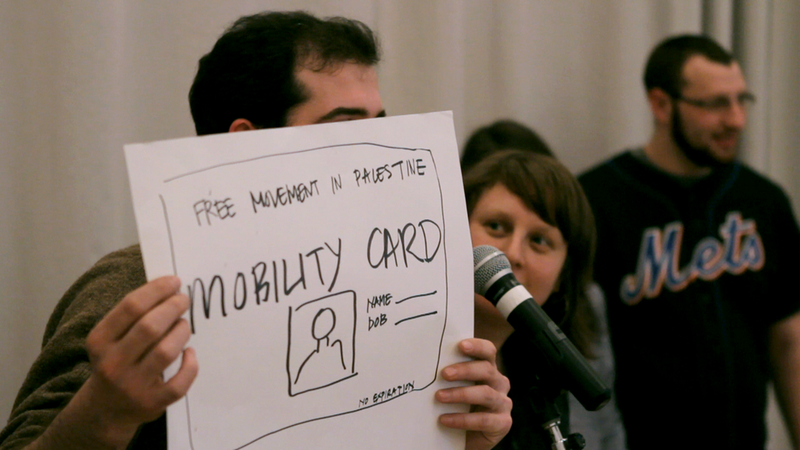 The Movement was founded in November 2006 by co-leaders Omer Krieger and Dana Yahalomi until August 2011 when Yahalomi assumed sole leadership. Public Movement actions take place in public spaces and in collaboration with art, theatre, dance, and academic institutions in Israel and abroad.